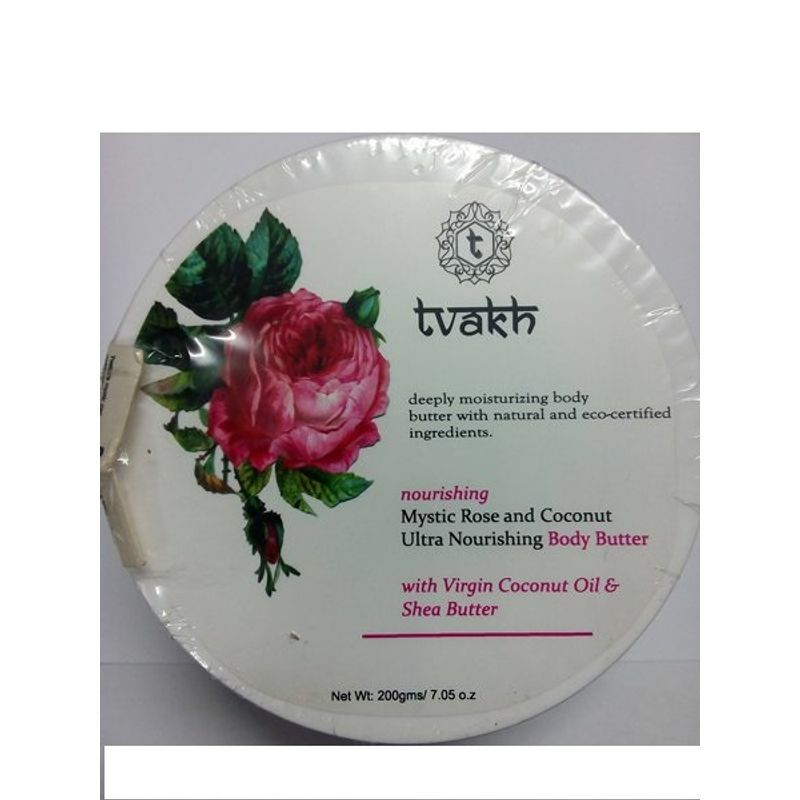 Tvakh's Mystic Rose and Coconut Body Butter is a super enriched moisturizing cream that maintains the hydration level to protect the skin from dryness. 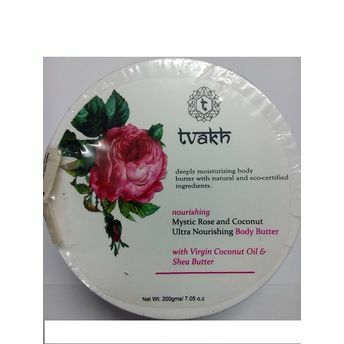 Infused with antioxidant-rich botanical Rose Oil and Virgin Coconut Oil combined with vitamins A and E from Organic Shea butter and beeswax that nourish the skin for long lasting suppleness. The deliciously scented fragrance with mocha and hints of rose, together create a passionate and unsurpassed gourmet magic.